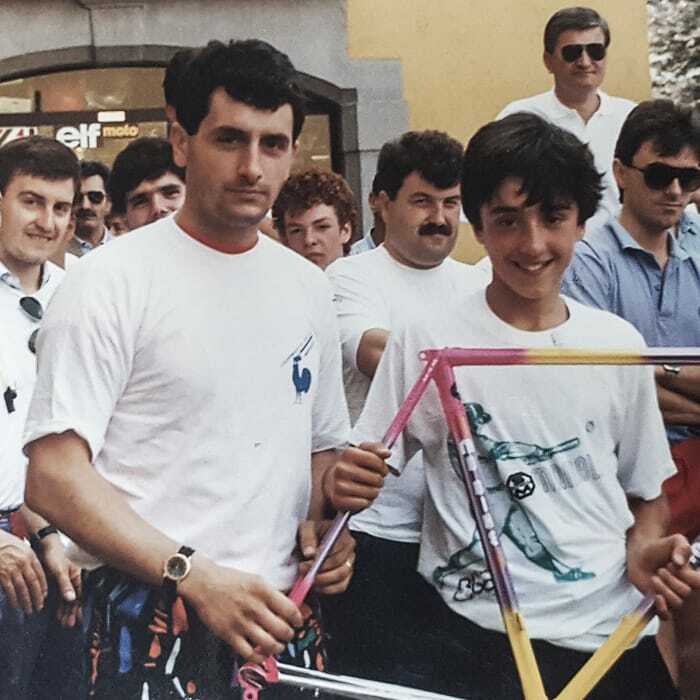 Bertoletti: how a legend among italian bicycles manufacturers was born. Today, among cycling enthusiasts, and in part thanks to the influence of a carabinieri’s marshal in the Italian Army, the Legend brand is one of the most appreciated in the world among Italian bicycles manufacturers. In 1973 as a 15 years old, I traveled to my workplace on my loyal bicycle. One day, a marshal saw me pedal at full speed, as always, and suggested that I should enter a racing team that he followed in his free time. That day my future was traced: an unbridled passion for the bike was born, a love left untouched today after almost 45 years. as an apprentice with a local craftsman. to create my own company. especially those for Pro racing teams. In this new adventure, I gave it everything I had: acquired expertise, passion, and new ideas to create the best frames and bicycles in the world. The profound knowledge of materials and their evolution - aluminum, steel, stainless steel, titanium, and carbon. The very high degree of customization of my frames helped build Legend - a brand that in its name has its destiny. Today, from Australia to Dubai, "Legend by Bertoletti" represents the dream of many cyclists among Italian bicycles manufacturers. An achievable dream. Just define a budget, know yourself and your goals, then rely on my experience. All Legend frames are produced in my workshop by skilled craftsmen, customized and finished by hand, one by one. When when I talk about customization, I do not mean the color or choice of options. You have to look at our experience through our eyes and take all the time it takes to get to know us. I have to evaluate the cyclist taking measurements, choosing the frame that suits their needs, defining its design to find the right compromise between performance and realization. To choose the frame suitable for each cyclist, I have to consider the athlete as a whole, the reasons that drive them to want a particular product, and the frequency of use. 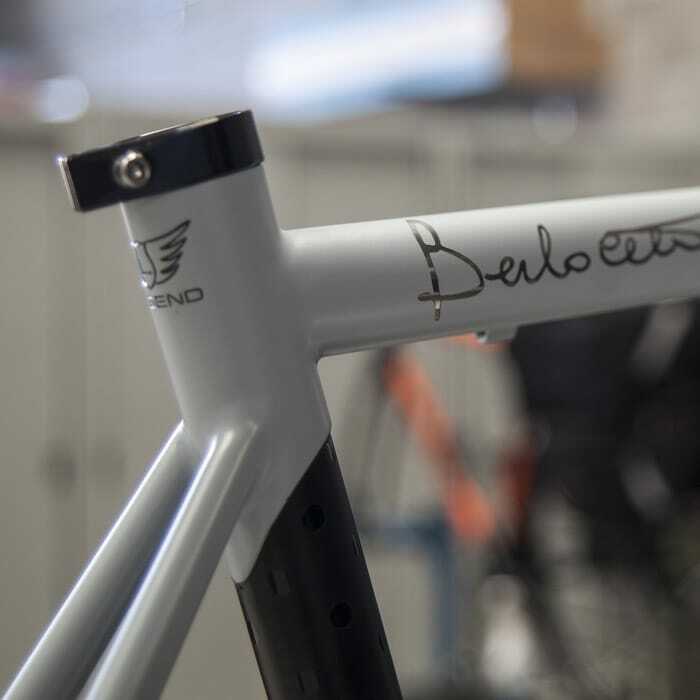 For the design, construction and painting of a "Legend by Bertoletti" frame, at least 50/60 days are needed. Every detail is carefully looked after to meet the highest quality standards. Just as well, every new frame model is subjected through a tough stress and crash test. Compact or traditional, competing or comfortable, every frame uses the latest technology, while continuing to look for new technical solutions in application. Your bicycle will need to be perfectly suited to your physical and athletic needs to guarantee the performance you have always dreamed of. Every year I produce no more than 250 frames, a compelling choice for those who are looking for excellence. 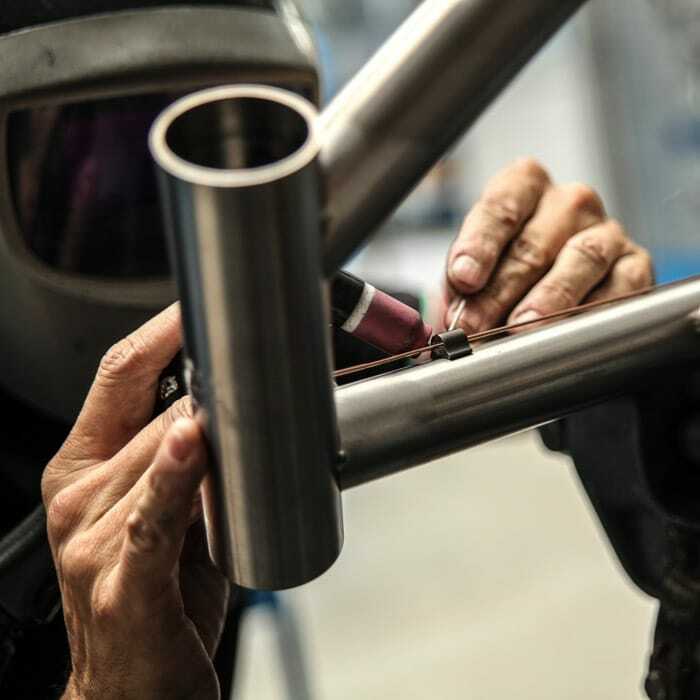 Your frame is tailor-made with the utmost precision, regardless of the material used, in an artisan workshop equipped with the best equipment available on the market today.